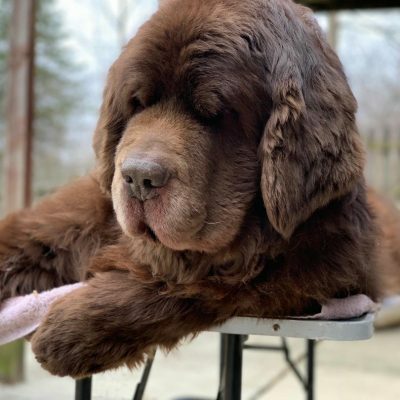 In honor of National Puppy Day and because it’s snowing outside and I need a little pick me up, we rounded up some of the fluffiest, cutest piles of Newfie puppies that we could find on short notice on Instagram. Sit back, enjoy and be ready to be overloaded with Newfie puppy cuteness! We’ve been watching Blaze grow up for the past few months! Eccles. I just realized that one of the very first people that I ever followed on IG got another puppy! I’m so excited for them!! Beautiful Phoebe and I love that name. Chewy and Waffles. All I see is Trouble with a capital T but also tons of love and fun! Caspian. Need I say more? Finley. With those beautiful brown eyes, he will never do any wrong. Quinn. Bubbling with personality with that little tongue and fro! Franklin. Look at those freckles! Maylo. Being a Newfie puppy is absolutely, positively exhausting. Osito. The puppy has found water. I repeat, the puppy has found water. Hans. He says hi and you better stop and say hi back. Interested in learning more about getting a Newfie puppy? We recommend that you take your time and find a responsible dog breeder. 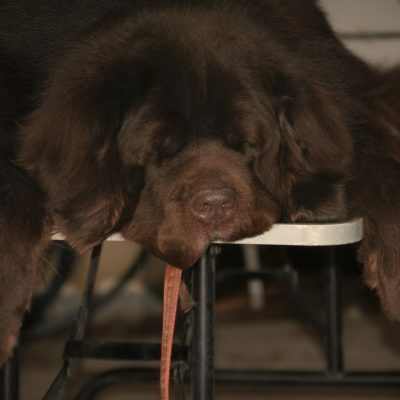 Newfie’s are big dogs that require training, time, love and devotion. 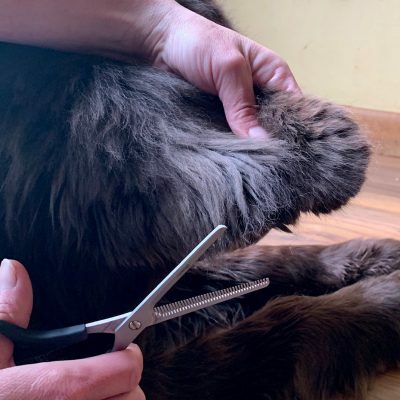 They can also get quite costly as they age with veterinarian bills, grooming costs and care through their senior years but as long as you’re prepared they are 100% worth it! « What Does “Blow Coat” Mean? Wow, this really is a Newfie puppy overload! It’s impossible to pick a favorite, but Blaze is melting my heart with those speckled paws!! Beautiful pups.